Seattle isn’t known for its rain for no reason. In fact, with over 150 rainy days a year, it ranks top in the nation for the number of days it rains. You may love the rain and all that Seattle has to offer. That’s why you chose to settle down here and even plan to spend your retirement years enjoying all the city has to offer. But you don’t want poor retirement income planning to rain on your retirement goals. You want to know that when you retire, you can stay retired comfortable with enough income to cover your expenses for the rest of your life. 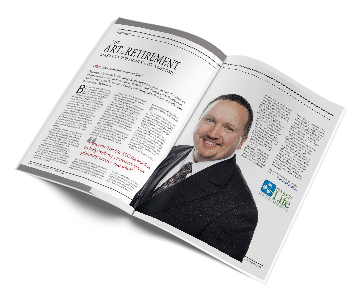 Finding the right retirement income planner is key in preparing for your future retirement years. When you opt to work with Income for Life, you’re picking retirement planners that are experienced and knowledgeable specifically in the retirement planning realm. When it comes to retirement financial planning, that’s all Income for Life does, so you can trust that you have the right help supporting you throughout the process. When you retire, you want to know that you’re not only ready for retirement, but that you’re going to be financially ready for it. Contact us here at Income for Life today to discuss your unique retirement planning needs and how we can help you!